This is one of various text layout/formatting and index projects done for the sister companies, Africa World Press and The Red Sea Press, Trenton New Jersey. The books of the projects are all available for order on the companies’ website- http://www.africaworldpressbooks.com/servlet/StoreFront and all major online retail stores including amazon.com and Barnes and Noble. At the outset of the twenty-first century, Afropessimism permeates both the scholarly and popular literatures on Africa. In the dominant discourses, Africa is constructed as “hopeless,” “hemmed in,” on the periphery, and even as “left out” of the global economy and community of nations. This interdisciplinary volume interrogates these interpretations and offers a probing critique of neoliberal globalization and its uneven impact on Africa. The essays debate the constraints and opportunities for Africa's political economy, civil societies, and cultural production in the current era of intensifying globalization. Although reflecting different perspectives, all the essays share an intellectual commitment to critically mapping the implications of globalization for the African continent, and to strengthening research and teaching in Africa area studies. Globalizing Africa's thirty essays represent one of the most comprehensive analysis to date of the impact of political, economic, and cultural globalization for Africa and African studies. The book is divided into three parts. 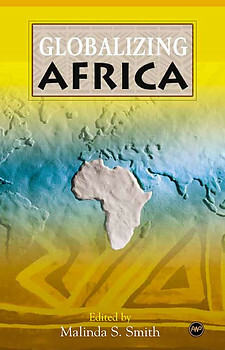 Part I provides an analysis of the invention and representation of Africa, and its struggle for democracy, good governance, peace and human security, and human rights from slavery to the postcolonial period. Essays in Part II offer a cogent assessment of the challenges and constraints of economic development in postcolonial Africa, the internal and external factors that shape its marginality in the global economy, and its prospects for regional and continental integration. The essays in Part III are a critical meditation on African indigenous knowledge, universities, and cultural industries, as well as a reflection on memory and reconciliation in postconflict societies. MALINDA S. SMITH is an associate professor of political science and Program Coordinator for Governance and Political Economy at Athabasca University in Alberta, Canada.